PARK CITY, UTAH (March 26, 2014) – The Historic Park City Alliance (HPCA) announces phase two plans for the agency’s 10-year overhaul of Main Street infrastructure and sidewalks along Park City’s central commercial thoroughfare. Continued access to Historic Park City merchants remains a top priority with minimal impacts expected to merchants. Phase two work is expected to begin April 1, 2014 with Questar Gas continuing the replacement of a 60-year-old gas main with four-inch plastic pipe. Following the gas line replacement, Miller Paving will install new granite sidewalks and curbs. 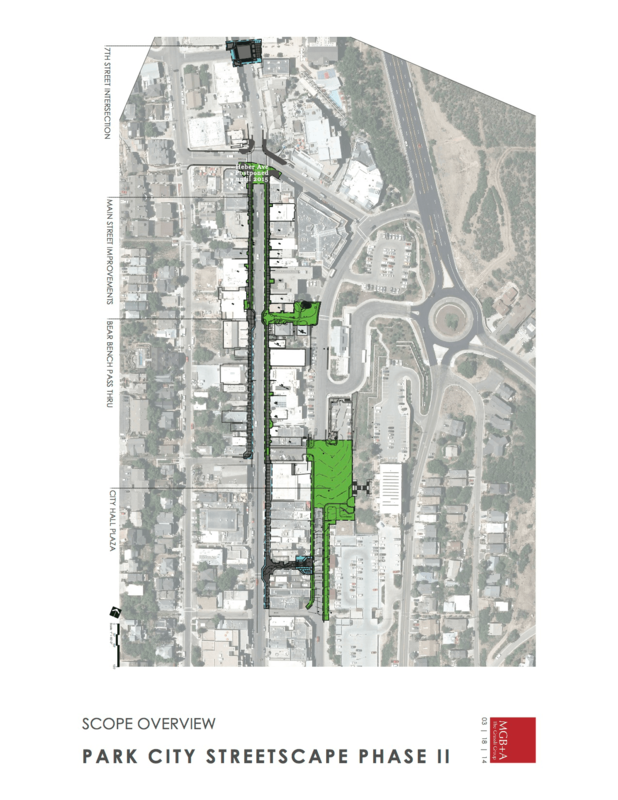 The work will take place from the Claimjumper to Heber Avenue on the west side of Main Street and from the Post Office to Heber Avenue on the east side of Main Street. Additional improvements are scheduled for the intersection between 7th and Main, the Bear Bench Walkway and the Swede Alley City Hall Plaza. Private construction projects currently underway in the district further the revitalization efforts. Continuous access to Historic Park City businesses remains a top priority during infrastructure improvement work. Private projects underway include renovations to the Silver Queen building, Main Street Mall, 562 Main Street, 692 Main Street, and the Rio Grande Building (at the corner of 9th Street & Park Avenue). Members of the media who would like photos and drawings of the developments in Historic Park City, please contact Meisha Lawson at meisha@historicparkcityutah.com or 435.659.9283.